I had the privilege of attending a book signing party for Fifi O'Neill given by Susie and Mark Holt at their beyond beautiful shoppe, Posh on Palm in Sarasota FL. Fifi, is known for filling our minds monthly with beautiful inspiration from the pages of Romantic Country to her current work of artistic wonderment, " Romantic Prairie Style." To finally make her acquaintance was a very special treat for me! Don't you just love the Cowgirl boot bouquets? Susie and Fifi have long paired Beauty and Romantic living as a signature to everything they touch. I think we should hail them as the Romantic Beauty Queens! I found Fifi to be a charming lady with a cute sense of humor and the store filled up with many of her friends and followers. The atmosphere was breathtaking as Mark and Susie had made sure that this was a glorious event for their special friend Fifi and their delighted guests. For all the times I've been to FL (and specifically Sarasota) I've never been to her store:( I'll definitely have to go next time! Her book looks gorgeous! Thank you thank you thank you for posting pic and describing the evening I so missed! I have met Mark and Suzie and find them so warm and charming. So wanted to do the book signing and meet the wonderful FiFi. Alas, I did not know of the signing until earlier this week and by then had a commitment that would take us in the opposite direction from Sarasota just about the same time. I so wanted to see the pics from last night cause I was so bummed I had to miss it all. Beautiful, beautiful post. Thank you! shoot! would have loved to be there! lunch soon i promise! Everything looks so lovely! I did a post about Fifi and her blog and book today, too! Becky you are so lucky to live near so much talent and beauty. I love Mark and Susie Holt's beautiful shop. I have always imagined a trip there would be awesome. Their style is amazing. I remember the first time I saw pictures of their home...I was blown away! I love the photo of you and Fifi. You cute girls look like you were having a great time. 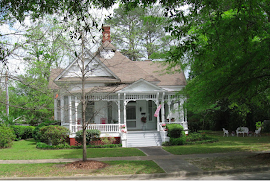 Just found your blog; your home is so gorgeous and has such great character!! How lucky to have met Fifi! I think her book AND her style are really going to take off. Thanks for sharing these pics! You were fortunate to join such an event! Love your blog and got here from 'posh on palm' via Fifi's blog... so I'm following you now. Wish you a Happy Easter weekend! I have an interview with Fifi O'Neill on my site today http://ReadingisFashionable.com ... Pop over see if you learn anything more about her!!! She is ADORABLE! That is so cool that you met Fifi! What an incredibly talented lady! Maybe we will bump into each other at the Flea! I am a girl that believes in eternity because it will take just that long to finish up all of my on going projects. I am married to my high school sweetheart. He is the love of my life. I am a hopeless romantic and for years I have been drawn to creating romantic atmospheres which has involved lots of white paint and roses. When we don't have paint all over our hands from the furniture we are getting ready for a vintage furniture shop, we have paint all over our hands from remodeling our Shabby Old House in Eufaula, AL. She is a sweet Victorian Cottage that we are hoping to one day turn into a bed and breakfast that specializes in Romantic getaways. It will be perfect for the couple that enjoys fishing and romantic getaways and the charm of a sweet southern town. Creative Country Mom's Web Garden.....Welcome! You will now be automatically redirected to: - http://asoftplace.net/ See you there! Rachel Ashwell's Shabby Chic Couture and The Prairie Bed &Breakfast.